Enjoy the "Sport of Queens" at Hinsdale Greyhound Park, the second oldest dog track in New Hampshire. Hinsdale Greyhound Park features live greyhound racing 52 weeks per year and offers full-card simulcasts from other tracks in the United States. Hinsdale Greyhound Park is located at 688 Brattleboro Road, Hinsdale, New Hampshire, USA. Hinsdale Greyhound Park, originally named Hinsdale Raceway, was established in 1958 for harness horse racing. Members of the Sullivan family from Lowell, MA were early stockholders of the company. During the late 60's, Hinsdale Greyhound Park enjoyed enormous success, just as harness racing had become very popular in the United States. Greyhound racing came to New Hampshire in the early 70's. Hinsdale Greyhound Park was the first track in the United States to install a heated track surface. The heated track made greyhound racing possible even during the cold New England winters. Since then, many tracks with colder climates installed similar track heating systems. For 13 years, Hinsdale operated a harness horse meet each summer and live greyhound racing throughout the rest of the year. By the mid 80's, maintaining a small seasonal harness meet had become impossible. The Final season of live harness racing at Hinsdale was held in 1985. From 1985 until today, Hinsdale runs live greyhound racing 52 weeks per year. In 1990 Hinsdale Greyhound Park began full-card simulcasts from other racing facilities. 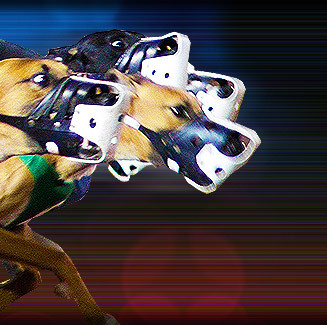 Now, in addition to live greyhound racing, Hinsdale Greyhound Park offer greyhound, harness, and thoroughbred racing from major tracks across the country.